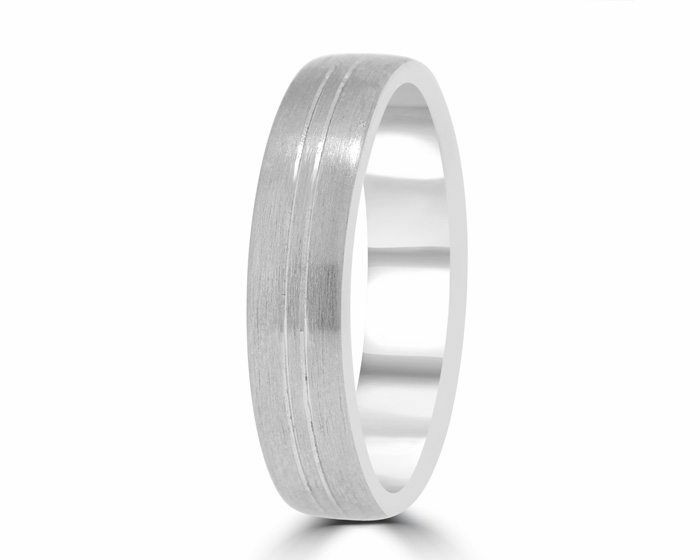 The single most important aspect about choosing a gents wedding band is finding a style that you’re comfortable with. You can go as plain or decorative as you like – it’s an entirely personal choice. Some men stick to a classic polished band, while others want a more adventurous style, choosing diamond set rings or detailed metal work. We’ve found that current trends lean towards a mostly plain ring with slight variations, such as matte texturing or a subtle engraved indent, like this popular example: GRW1024. We have several metal types to choose from, each with their own aesthetic and physical characteristics. While 18k yellow gold has been the prevailing traditional choice for several generations, contemporary fashions have moved towards silver and rose coloured tones in recent years. Platinum offers an enduring, high quality finish and requires little maintenance. In our experience, Palladium has proven to be the best choice for most men, due to it ‘s lightweight feel, durability and excellent value for money. Gents palladium wedding rings represent 80% of gents rings sold during 2017 for Bespoke Diamonds Dublin. If you simply can’t choose between these metals, why not go for a combination of two, like this bi-toned band with a satin finish: GWR1028. The shape of a wedding band will add slight differences to the look and fit of the ring. We offer a choice between Traditional (curved on the outside and inside), Flat (no curve on either side) and Modern (flat on the outside but curved on the inside) shaped bands. 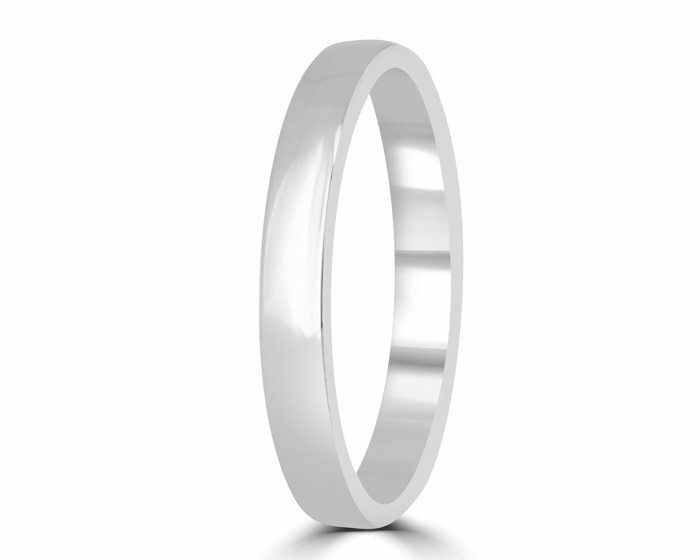 All of our men’s wedding rings are available to order in your preferred width. The choice of diameter depends mainly on your visual preferences. Would you like a slim, subtle band or a larger style with a more substantial look? Generally, we find that a very wide band can overwhelm someone of a smaller frame and vice versa, so it’s best to balance your ring with your hand size. 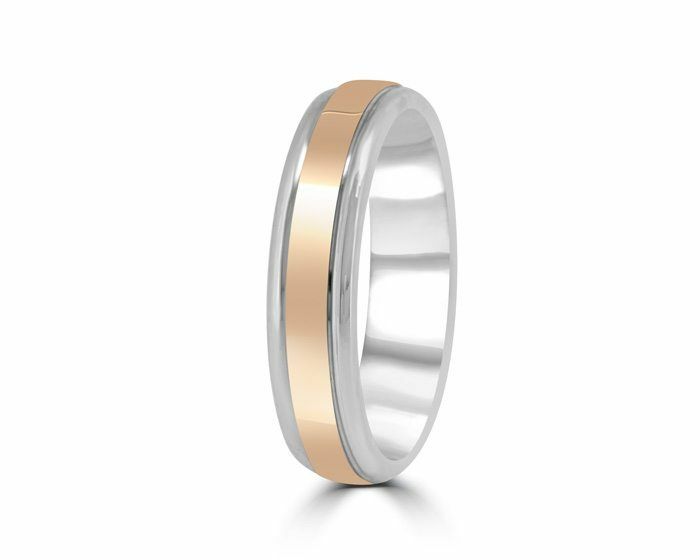 The ring illustrated here is a plain 2mm polished band: GRW1030. We’ll be happy to talk you through all the options available at our office on Kildare Street in Dublin city centre. For appointments or queries, please contact us on 01 68 55 800 or info@bespokediamonds.ie. Bespoke Commission Engagement Ring – Cork, Ireland.